The Atlanta Hawks survived the Detroit Pistons to win their 13th straight, and stay ahead of the pack in the Eastern Conference. The Pistons hung with the Hawks through much of the game, but went on a long drought in the fourth quarter. They lost 93-82. The Pistons, who shot just 35 percent (29-82) from the field, missed a chance to draw within half a game of the No. 8 seed in the East. The Pistons stayed in the game by snagging 20 offensive rebounds, and outrebounding the Hawks 61-42 overall. Andre Drummond (13 points and 18 rebounds) and Greg Monroe (16 points and 20 rebounds) both had double doubles, although Monroe had six turnovers and four fouls as well. The Hawks have now won 27 times in their last 29 games. 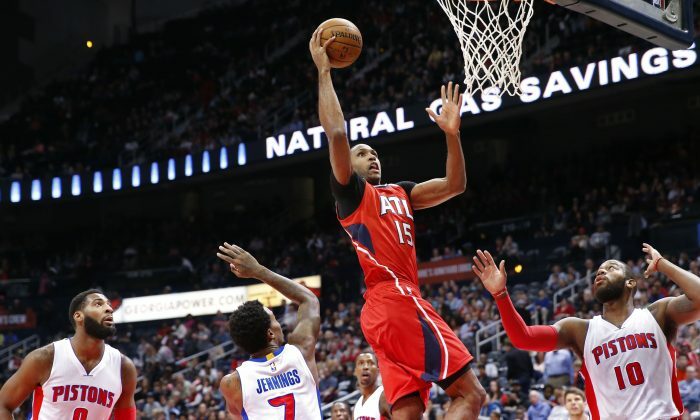 They were led by Paul Millsap and Mike Scott, who each had 20 points. Kyle Korver, Jeff Teague, and Al Horford also were in double figures. 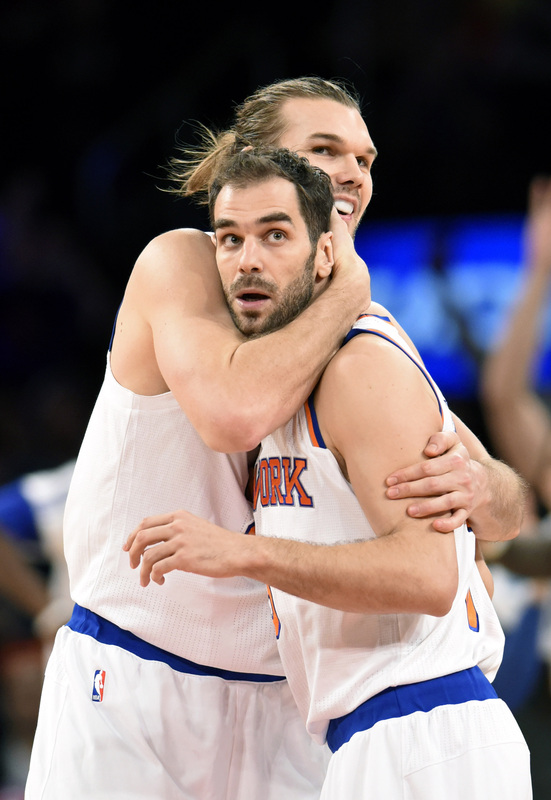 The New York Knicks finally won a game, beating the shorthanded New Orleans Pelicans. The Pelicans mounted a comeback in the fourth quarter but fell short, 99-92. The Knicks had lost 16 straight. Carmelo Anthony led the Knicks with 24 points. Langston Galloway, a recent signing, added 21 points. The Knicks shot 48 percent from the field and 43 percent from three. The Pelicans were again missing Jrue Holiday and Anthony Davis, due to injuries. Tyreke Evans and Eric Gordon combined for 43 points, 10 rebounds, and 8 assists, but it wasn’t enough. The Charlotte Hornets topped the Minnesota Timberwolves 105-80, and are close to moving into the top eight in the East despite struggling to start the season. The Hornets, now 17-25, are just half a game behind the Brooklyn Nets, who have lost eight of their past ten games. Gerald Henderson led five Hornets players in double figures with 17 points, draining 3-of-4 three-pointers. The Hornets brought Al Jefferson and Lance Stephenson off the bench, and Kemba Walker was out. The Hornets had a nice passing game going on–they assisted on 27 of their 40 made field goals, with Stephenson–who has been the subject of trade rumors–picking up nine assists to lead the team. The Timberwolves were led by Thaddeus Young’s 18 points, but struggled shooting the ball, making just 36 percent of their shots (29-of-80). They also had 16 turnovers, to Charlotte’s 10, and were outrebounded 47-42. The Mavericks beat Memphis in a game that was nearly even thanks to three-pointers and free throws. The teams both had 13 turnovers, 42 rebounds, 17 assists, and similar blocks and steals. 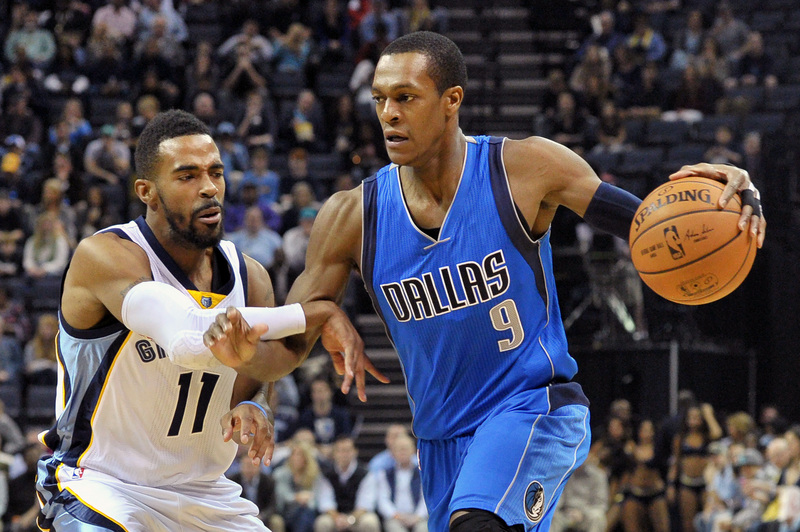 But Dallas shot a little better–42 percent to 44 percent–and made 10 three-pointers. Memphis only made 3. Dallas also had a five-point advantage at the free throw line. Monta Ellis (3-7 behind the arc, 25 points), Dirk Nowitzki (2-4 behind the arc, 21 points, and Chandler Parsons (3-8 behind the arc, 15 points) led the Mavs. Memphis got 38 points and 23 rebounds combined from Zach Randolph and Marc Gasol. Newcomer Jeff Green chipped in 11 points but was 0-5 behind the arc. The Wizards weren’t taking any chances on Monday afternoon, quickly jumping on the Sixers at home. By halftime, the score was 55-32. The final was 111-76. The team’s starters got some much needed rest, with Nene at just 18 minutes and the rest under 30 minutes. Otto Porter Jr., the Wizards young prospect, got some time to showcase his skills. He chipped in 10 points, and Kevin Seraphin had 14, to add to Marcin Gortat’s 20 points and the other starters’ low double figures. Gortat shot 9-11 as the Wizards shot 55 percent (45-81) from the field, while the Sixers shot just 33 percent (28-85). The Wizards also outrebounded Philly 53-30. With the Bulls and Raptors struggling recently, the Wizards are now two games up on both of them.